Following on from my first Graco Sky post, I’ve now spent two weeks using the travel system as much as possible. 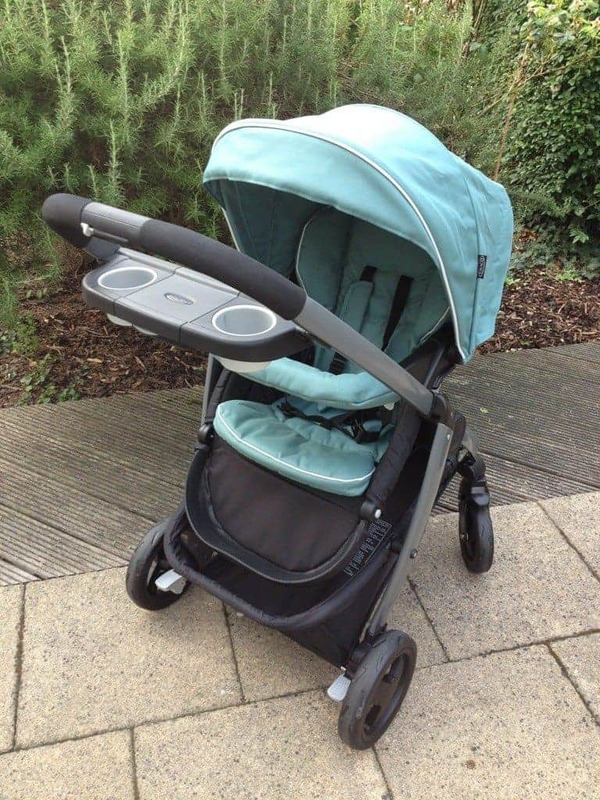 I have used the Graco Sky travel system in every mode – with the car seat, with the pushchair seat forward and parent facing and also with the pushchair turned into a baby nest for Little Man. You can see a video of changing between the different modes here. I have also had a lot of experience folding and unfolding the pushchair. You can see the (very short) video here. I have also taken photos of the Graco Sky to give you a good idea of what the ‘real life’ travel system is like. These include pictures of the huge shopping basket and handy parent tray. You can find all the photos on my Pinterest Graco Sky Board. I’ll be posting further updates about our Graco Sky adventures so keep an eye on the blog!